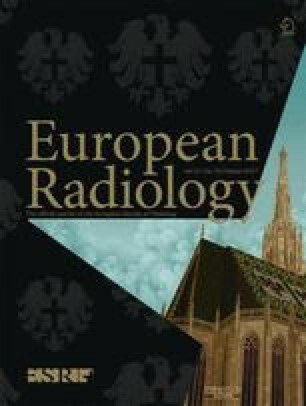 To evaluate the features and trends of Radiology research in Mainland China through bibliometric analysis of the original articles published in Radiology and European Radiology (ER) between 2006 and 2015. We reviewed the original articles published in Radiology and ER between 2006 and 2015. The following information was abstracted: imaging subspecialty, imaging technique(s) used, research type, sample size, study design, statistical analysis, study results, funding declarations, international collaborations, number of authors, department and province of the first author. All variables were examined longitudinally over time. Radiology research in Mainland China saw a substantial increase in original research articles published, especially in the last 5 years (P < 0.001). Within Mainland China’s Radiology research, neuroradiology, vascular/interventional Radiology, and abdominal Radiology were the most productive fields; MR imaging was the most used modality, and a distinct geographic provenience was observed for articles published in Radiology and ER. Radiology research in Mainland China has seen substantial growth in the past 5 years with neuroradiology, vascular/interventional Radiology, and abdominal Radiology as the most productive fields. MR imaging is the most used modality. Article provenience shows a distinct geographical pattern. • Radiology research in Mainland China saw a substantial increase. • Neuroradiology, vascular/interventional Radiology, and abdominal Radiology are the most productive fields. • MRI is the most used modality in Mainland China’s Radiology research. • Guangdong, Shanghai, and Beijing are the most productive provinces. The online version of this article (doi: 10.1007/s00330-016-4689-4) contains supplementary material, which is available to authorized users. The scientific guarantor of this publication is Guang Ming Lu. UJS is a consultant for and/or receives research support from Astellas, Bayer, Bracco, GE, Guerbet, Medrad, and Siemens. The other authors have no conflicts of interest to declare. This study did not receive funding. No complex statistical methods were necessary for this paper. Institutional review board approval was waived. No study subjects or cohorts have been previously reported. Methodology: retrospective, observational, performed at one institution.